This is one of the questions I have been asked numerous times. 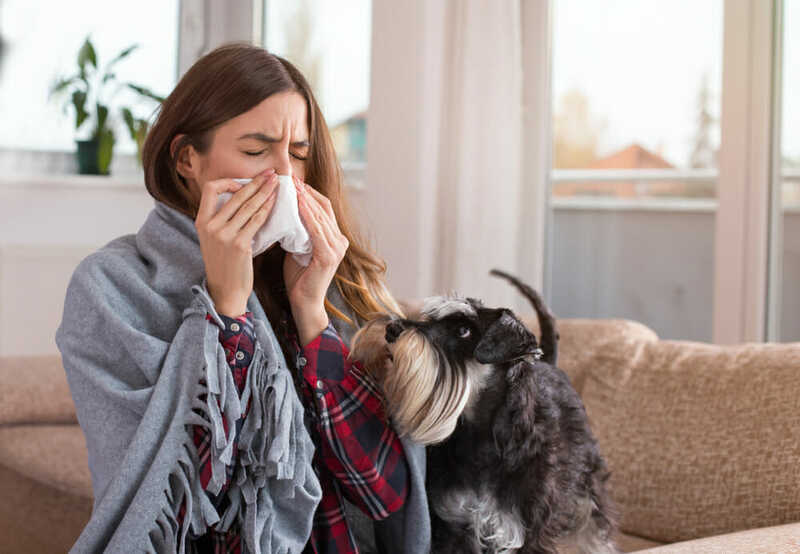 Spring is upon us, and hopefully, we’re past cold and flu season for people, but let’s see if we can answer this and shine a little bit more light on coughing and sneezing pets. Specifically, when you should head to your family veterinarian versus when you can monitor them at home before possibly taking them to the veterinarian. Sneezing in many cases may not be a problem, yet I still see some patients who have sneezed “just a few times” and nothing more before being brought in. There’s nothing wrong with having your pet checked if you’re concerned. In cases where there is discharge, lethargy, or inappetence, pets should be seen. By discharge, I’m looking for blood or mucoid material (yellow, green, whitish-grey). These are typically indicative of infection, foreign body, or in older animals mainly, I might be suspicious of cancers. Sneezing without discharge leads me down the road of investigating allergies or other things in the home that might trigger such a response. Things such as plug-ins, potpourri, scented candles, and treacherous dust bunnies living in closets or under furniture have all been culprits that have been identified before. Coughing in some forms can be a sign of something more serious internally. In dogs, a cough can be a sign of Bordetellosis, more commonly referred to as kennel cough. Coughing can also be a sign of more severe conditions such as heart failure, heartworm disease, pneumonia, or asthma. These can all be tricky things to manage or potentially life-threatening; getting your pet checked out is always a good idea. One thing I’ve noticed personally in the winter is that with very dry environments, their airways can also get dried out and cause some irritation. A simple recommendation to try and confirm this is to increase the humidity level in the home but if that doesn’t help it’s time for a trip to the veterinarian. The question on everybody’s minds…do pets get colds? I would say it’s certainly possible and if your pet only has an isolated sneeze or cough, it could be the case. We probably don’t see too many of these cases in practice. Cold and flu season primarily exists among the human population and those little types of “bugs” won’t be transmissible between you and your pet. My best recommendation is that if your pet is sneezing or coughing for more than 1-2 days, or if you see discharge, laboured or lethargy, it’s time to get your furry family member seen before things get worse.